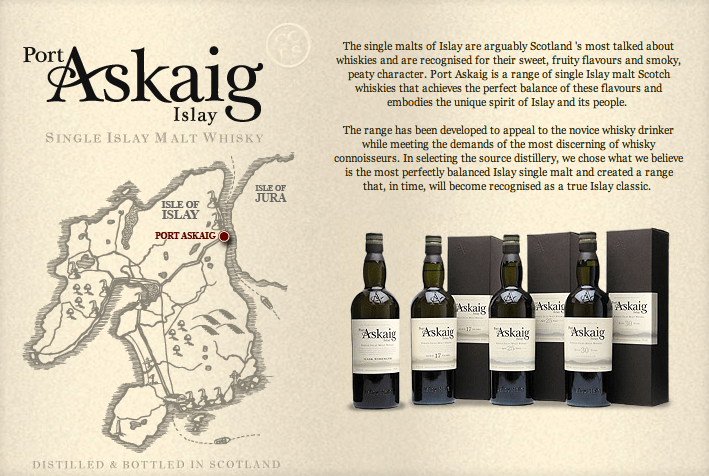 Ah Port Askaig, producer of fine whiskies, yet a distillery that doesn’t technically exist. People have been buying and bottling other people’s wine and whisky for years, now. In wine, they call them negociants. Aside from labeled independent bottlings, with unidentified whiskies, there hasn’t been so much of a name as a sense, if you were found out, that you were cheating. Now, I think that’s just ridiculous. You’re a distillery, you have a certain character to maintain, and you end up with some fine, fine whisky that doesn’t quite fit your range, what else are you going to do with it? Not sell it off, like the French ‘lake of wine‘ a few years ago that ended up mixed with petrol. Sacre bleu, the sacrilege! 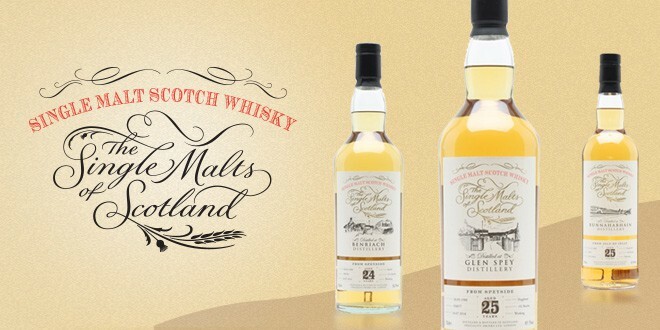 So Port Askaig has acquired some fine single malt whisky and has produced it as a unique brand – and that’s just fine. I’ve heard some nice things about their 17 and 25 year old whiskies, and Mark was a fan of the 19 and 30 Year Old cask strength whiskies. They were also kind enough to send over a sample of their recent 12 year old whisky to taste. Now, the big question is, who’s the distiller? 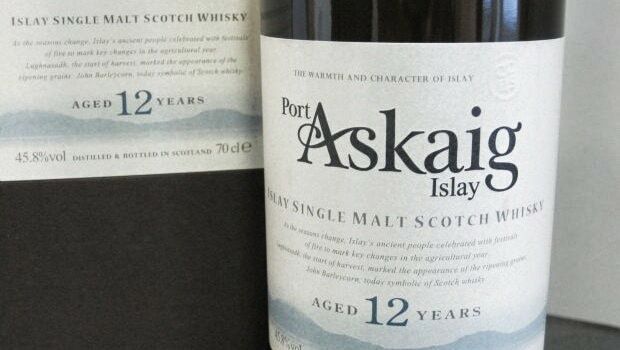 Port Askaig are keeping mum, but the name suggests that the liquid is most likely from Caol Ila. Mark thinks that too. We over this way are plenty happy with their malts. Just a sniff of this suggests that it’s going to be a fine dram. Bottled at 45.8% and twelve years of age, but I can’t find anywhere what barrels they’re aged in – I’d guess ex-bourbon barrels with a very light char. In the glass, the colour is pale straw with hints of gold outside. The nose gives off seaweed, a little sweetness, vanilla, and honey. This is a beguiling nose that begs you to sniff, ’til you nearly sneeze. There’s something hiding inside of it, begging to be drunk. In the mouth: Sweetness and vanilla again, roll across your tongue; salt and iodine-y seaweed stick around, with some mineral flavours. I keep expecting harshness, but it’s smooth, all the way, settling into a seaweedy finish that warms the heart. At £43 for a 70cl bottle, this dram delivers. 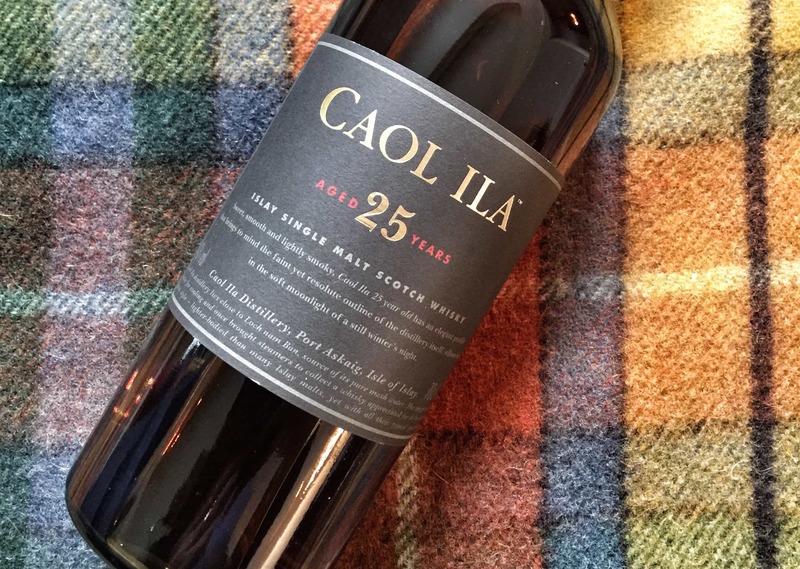 You might find something a little cheaper, and it’s not a named brand (but it’s probably Caol Ila), but you’re getting an extra fiver’s worth out of the bottle, at least.